Margaret is a doctor of Acupuncture and Oriental Medicine. She has been licensed and practicing acupuncture in the state of Texas since 2003. 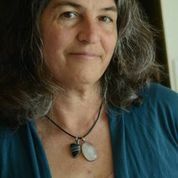 In addition to Acupuncture and Chinese Herbal Medicine, she has studied many other healing modalities including Raphaelite Healing, Matrix Energetics, Qi Gong, Shamanic Healing, and Sound and Color Healing. Margaret has a deep intuitive understanding of healing.